Pest ControlPest Control that is customized for residential property needs. Wildlife ControlWildlife Control that includes removal, relocation, and prevention. 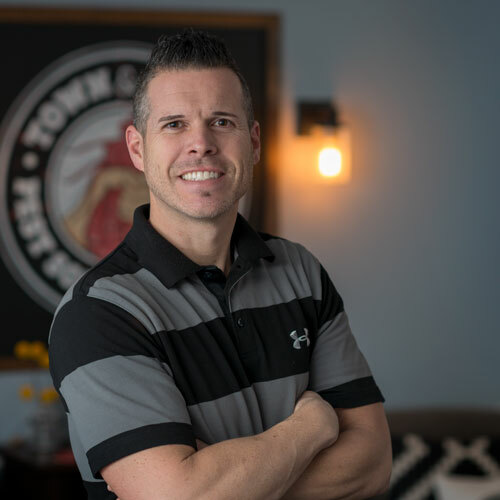 My name is Shawn and I’ve just started with Town and Country Solutions in the beginning of 2018. But beyond that, “sorry, eh? I really just don’t know what to say ‘aboot’ myself.” Sooner or later, being Canadian is something that people will learn about me as I’m proud of my heritage! I was born in Toronto, Canada, but have been living here in Rochester, New York for the last 16+ years. My wife Stephanie and I have 4 wonderful kids ages 4 through 13. I am truly blessed to have such a fantastic wife and wonderful family! I thoroughly enjoy fathering my kids and watching them all participate in sports, music, school, church or any other activities! Beyond my fatherly responsibilities, I enjoy spending time doing a variety of home improvement projects, golfing, playing any competitive sport possible (including Spikeball), and having the chance to volunteer in music and the college age ministry at First Bible Baptist Church. And in the short time I have been with Town and Country Solutions, I get it! It’s just so nice to be ‘home’ everyday as the company truly knows how to make their employees feel like family! I have a lot of confidence in your company and call you first when we have a pest problem. I am very happy! Amazing team! I've had our house sprayed with Wasp repellant by Town and Country every Spring for 20 years. They do a great job and are always very fast and responsive whenever we have gotten wasps or bees back. Highly recommended! Helpful and answered my questions well. I have used them a few times over the past 5 years but last year we bought the year package and repeated it again for this year I also recommended your services to a friend. Preston did a great job! Very polite and got the job done efficiently. We love Town and Country! Contact Town & Country for a free quote today! You can contact us by phone, email, or live chat. If you just want to see how cool we are, check out our social media. We are very passionate about the work we do. We service all of Buffalo, Syracuse, Rochester, Niagara Falls. Town and Country specializes in the safe eradication of every type of insect, rodent, or animal. ©2019 Town & Country Pest Solutions Inc.